Join our Journalism internship in Romania and gain experience in magazine and online journalism. The articles you work on will focus mainly on Romanian culture and traditions, which means you’ll learn a lot about the country itself. This is a great way to add practical work experience to your CV, and grow your portfolio. You’ll work under the guidance of experienced and passionate journalists. Make the most of your time with them, ask questions and take notes. They’ll show you what the day-to-day life of a working journalist looks like. You’ll also get the opportunity to teach through the journalism club we run at a local school. 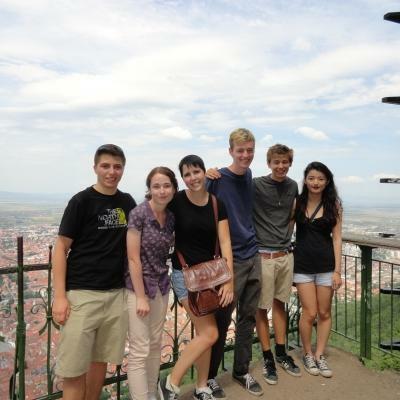 You will be based in the ancient city of Brasov, and live with a local host family. 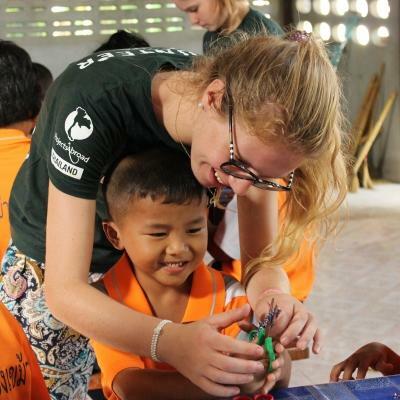 Use your time with them to explore a different culture, eat traditional food, and experience local customs. Is a Journalism internship in Romania right for me? Are you passionate about telling stories? Do you want to follow a career in journalism? 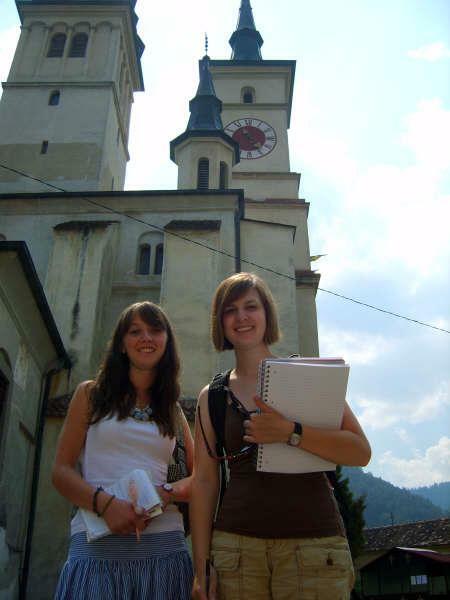 Then our Journalism Internship in Romania is perfect for you! You will be working at a magazine that focuses on the ancient Romanian traditions still going strong today, despite globalisation. It will give you the opportunity to interview a wide variety of people and build an interesting portfolio. This is a chance to build your CV, hone your skills, and learn more about how the media works in an Eastern European country. This internship will also provide you with plenty of experience to talk about in interviews or applications. You don’t need any previous experience to join, as you’ll work under the guidance of experienced journalists. 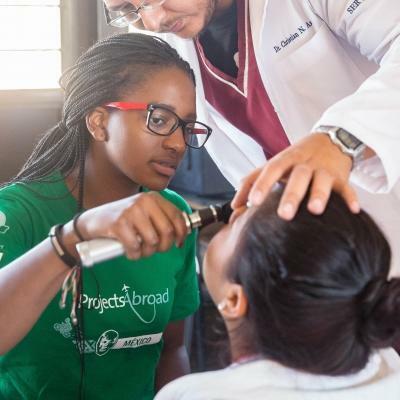 Projects Abroad staff are also there to help if you need it. Worried about your Romanian writing skills? Good news! You will only need to have an intermediate level of English, and be comfortable with reading and writing. Our Journalism Project runs all year round and you can join at any time. You need to spend at least two weeks on the project. We recommend staying longer to learn more and gain more journalism work experience while in Romania. During your journalism internship in Romania, your main focus will be producing the English section of a magazine called Satul (The Village). You will work closely with your fellow interns and local journalists to create content that is inline with the publication’s communication strategy. You will go out on interviews, write articles, and edit articles. As a Journalism intern, you will have the opportunity to visit one or more Romanian villages during your placement. This will help you get to know rural Romania and report on it. You will interview mayors, teachers, craftsmen, priests, and farmers. You will research their way of life and struggles dealing with the modern world and determine how these ancient traditions have survived in urban life. You’ll also contribute to Voices of the World, an online publication for aspiring young journalists. This is a platform where you can express your views, engage in dialogue, and learn about others through topics that greatly affect us all. If you are 25 years old or younger, you can also participate in weekly workshops and undertake assignments for Voices of the World. Older interns can work as trainers and coordinators for the local young people involved, or the interns who are also participants. You can hold workshops, proofread, or edit articles and discuss ideas for articles. In order for you to use your skills to the benefit of the local community, we have started a weekly journalism club at a local primary school. Under the supervision of our Journalism Coordinator, you will work with small groups of children once a week. You will help them create a small monthly newspaper. The children are selected based on their English level and writing skills, photography, drawing, or computer skills. They then take on all the roles that are involved in the creation of a publication. Under your guidance, they become reporters, editors, proofreaders, photographers, and designers. Who are our partners for Journalism in Romania? One main placement is the print magazine Satul (The Village). The magazine has been created and is edited by Adrian and Ana Andrei, a young couple with great vision. 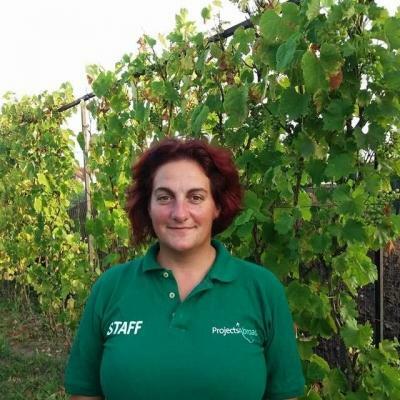 During their travels through the Romanian rural areas, Adrian and Ana were touched by the richness of ancient Romanian traditions that still manage to survive, having adapted to the increasing globalization. They decided to create ‘Satul’ in order to help keep alive the immemorial spirit of the rural identity with its many different manifestations in modern Romanian life. You will also be working with Voices of the World. 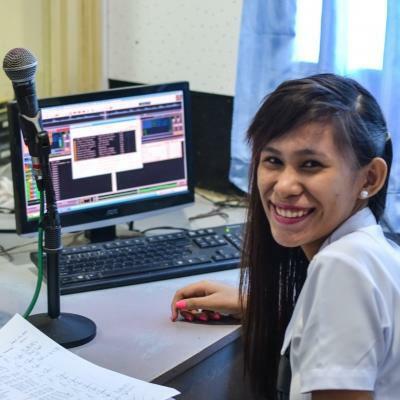 This is a unique global journalism initiative from Projects Abroad that allows young people from developing countries to learn about journalism. It’s also a great opportunity to publish their work online and experience cultural exchange. The project is currently working in Romania and Ghana, but we are planning to expand it to many other countries. As a Journalism Intern in Romania, you will write for a magazine called Satul. You’ll be responsible for producing the magazine’s English section. You will work in the Projects Abroad Brasov office. Your day will normally start with a hearty breakfast enjoyed around the table of your Romanian host family. After this you will either walk, cycle, or take public transport to the Projects Abroad Offices, where you will be working.On your first day, our staff will show you how to get there. Your working day will normally run from about 9am to 4pm. First thing in the morning, you will sit down with project coordinators and fellow interns for an editorial meeting. During this time, you can propose article ideas and share what you’re busy with. These meetings are an important time to make sure everyone’s on the same page and nobody’s work is overlapping or clashing. From mid-morning, you might set out on excursions to local villages to interview people and gather stories. Some days, however, you might stay in-office. This is a great time to work on the pieces you’ve been researching. Between 12pm and 1:30pm, you will get an hour and a half’s lunch break. If your host family lives close by, you’re welcome to go home for a bite to eat and some rest. Alternatively, you can enjoy a packed lunch at the office or out in the field. In the afternoons, you may still be out researching your articles. However, you can also use this time to write some pieces for Voices of the World. The aim of this project is to give you the opportunity to expand your knowledge about journalism and gain some practical work experience. 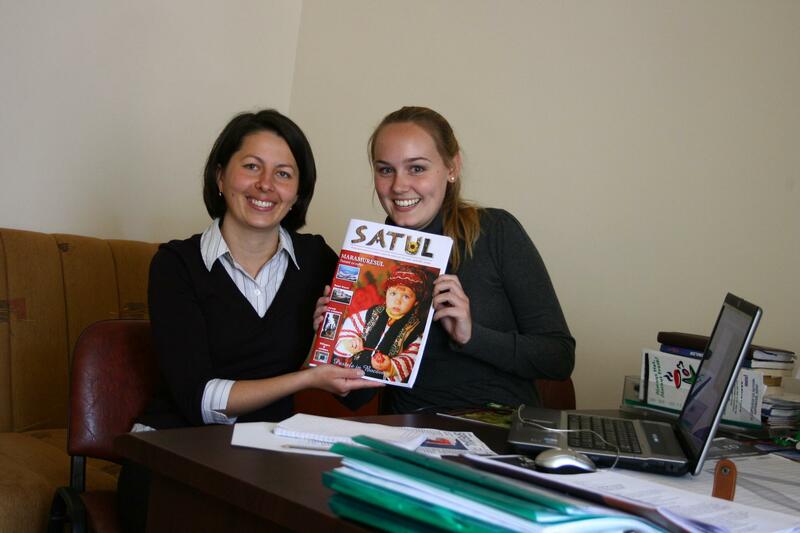 You will work at Satul, a biannual magazine in Brasov. The magazine focuses on ancient Romanian traditions that manage to survive despite Romania’s increasing globalisation. The articles you do for Satul will also teach you a great deal about the culture of the country during your internship. The magazine is distributed nationally twice a year through a network of well-known book stores, museums, tourist attractions, town halls, traditional restaurants, and rural guesthouses. It is also available at festivals, exhibitions, and to subscribers. 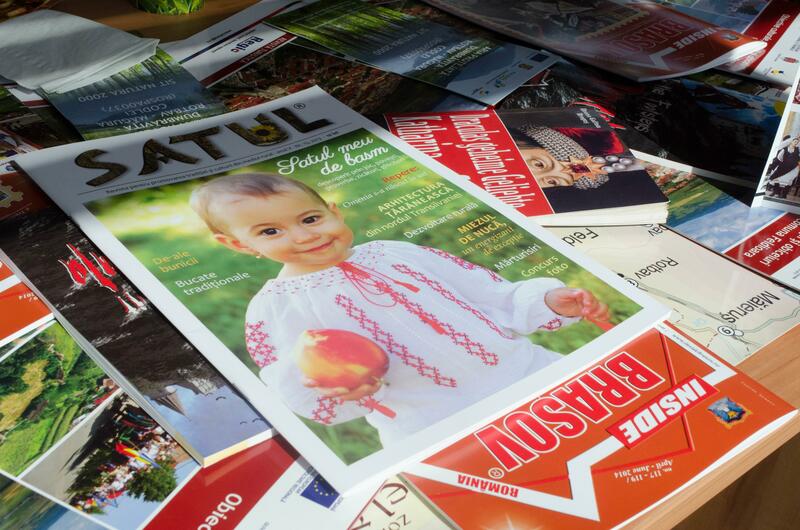 Distributed internationally to several different embassies and with the Romanian Royal House on its subscription list, it’s safe to say that Satul has some serious cultural clout! 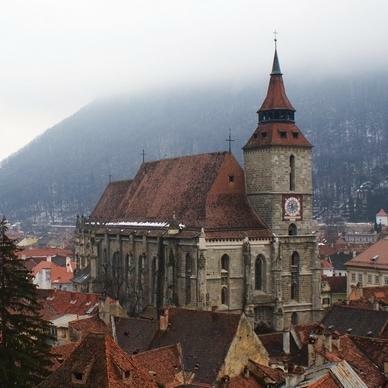 Join our Journalism Internship in Romania today and gain invaluable journalism experience. I made memories and friends that will last me a lifetime and I gained incredibly valuable experience in the journalism field. How many people can say they were published abroad by the time they were 18?